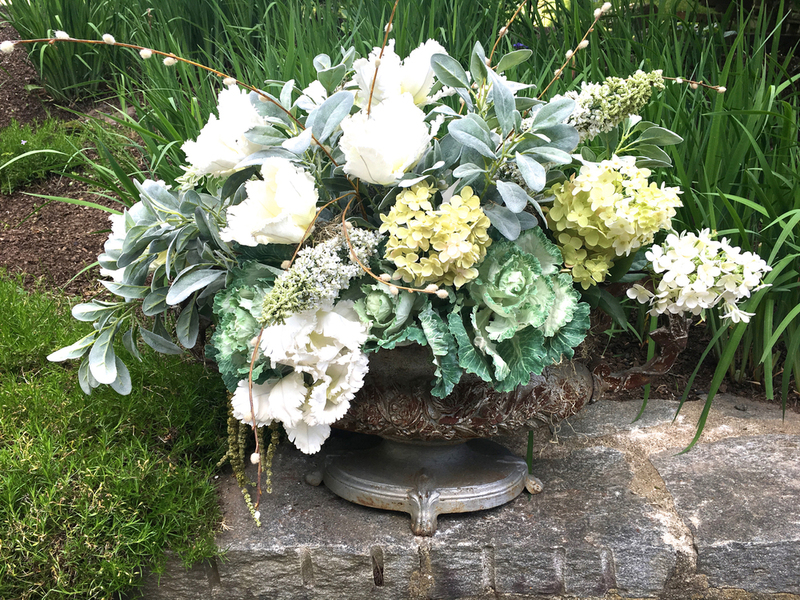 This very large tabletop cast iron urn with handles has a lush romantic look, crisp detailed casting, oval base and handles in old silver paint. 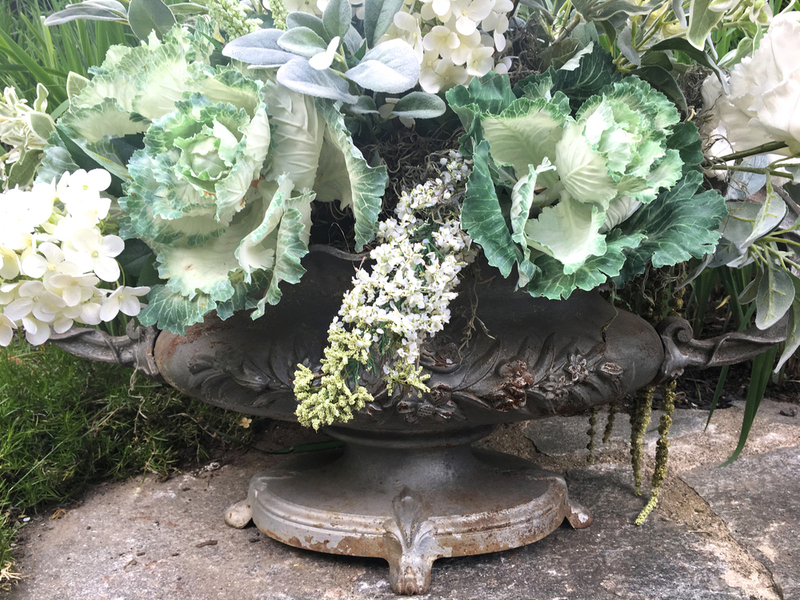 Filled to overflowing with fabulous faux flowers by Sari Weatherwax in shades of grey, green and white, it would make an incredible centerpiece on a large dining or side table. 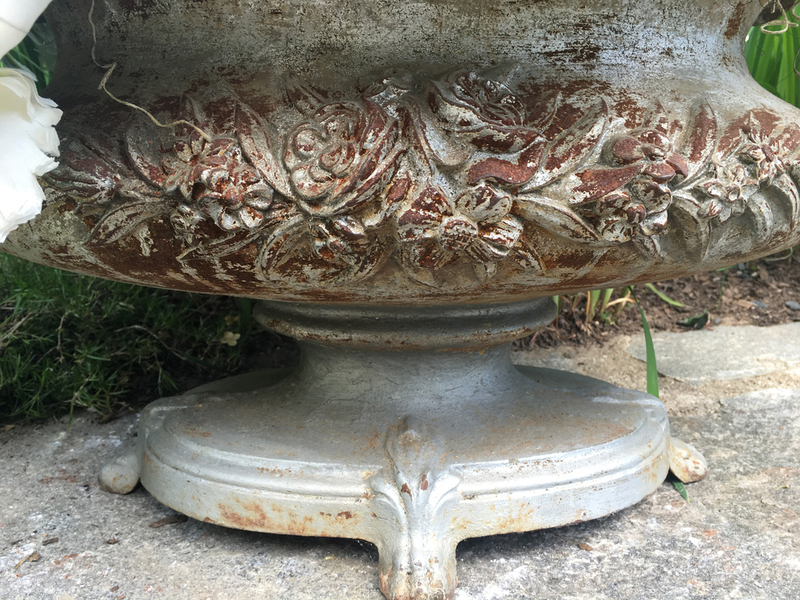 In wonderful condition, it has a weathered surface with a small amount of rusting commensurate with age. 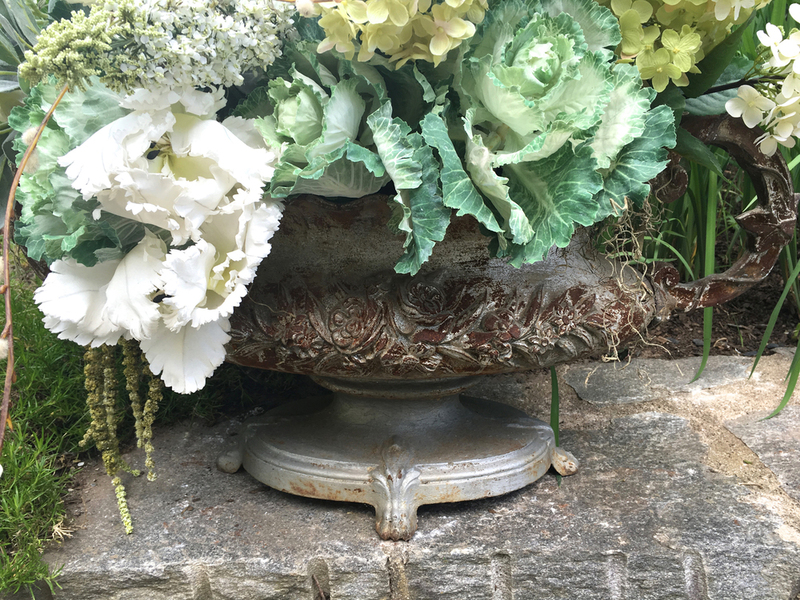 We have another identical urn sold without flowers (CUR 1001) should you want a pair. Dimensions listed below include the flowers. 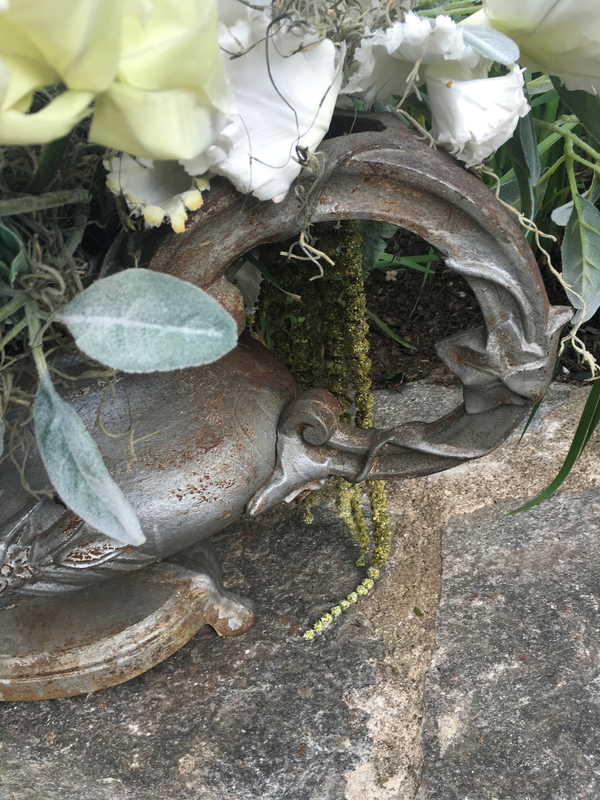 Without flowers, the urn measures 14" hi x 33" wide x 12" deep.